We have really lucked out and have had an awesome mild summer this year. A Kansas August with highs in the 80's is something to be enjoyed; usually we are melting away in 100+ degree heat and unbearable humidity. Since the weather has been so pleasant the boys have been spending a lot of time playing outside, which means I have been spending a lot of time outside hanging out. We moved this spool out front to have a place to set a drink or our phones while we were outside. The problem was that, while it was functional, it just wasn't nice to look at, and not really doing much for making a nice first impression. One evening while the boys were playing yet another game of baseball, I decided to give the entire spool a light white wash with some leftover white paint. I wanted the table to have an overall lighter and cleaner appearance, but still let some of the character of the wood show through. And I got exactly what I wanted! 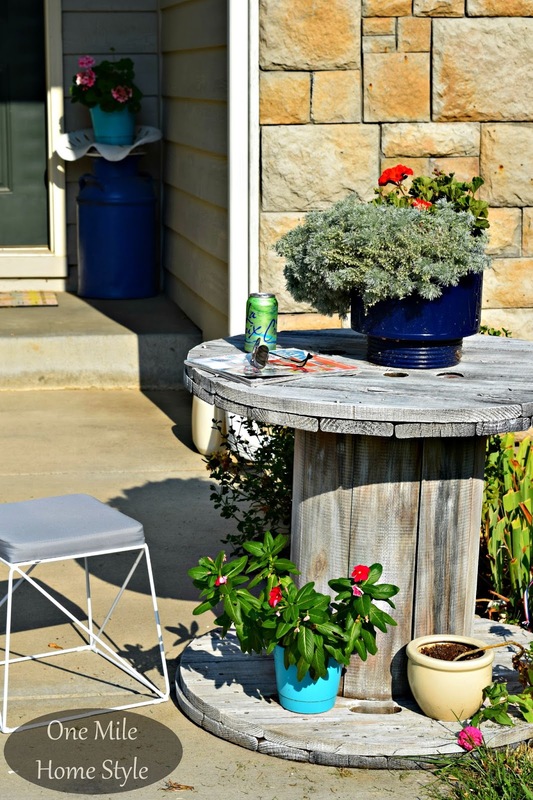 For a project that took less than 30 minutes, and just a little bit of paint, this spool table got a little pick-me-up and a fresh new finish. I topped it off with a flower pot in my favorite navy blue, and added a couple of smaller flower pots to brighten up the bottom of the table as well. 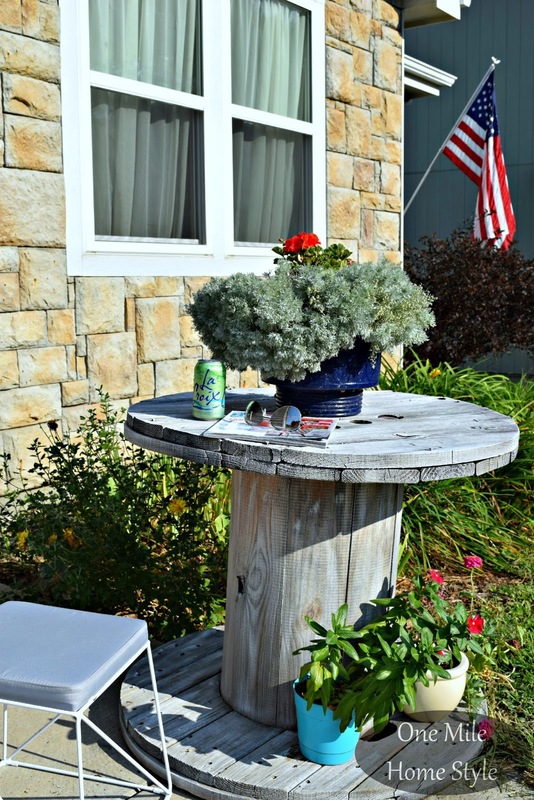 Now I have a beautifully weathered table to sit at and take advantage of our amazing summer weather. This looks amazing! 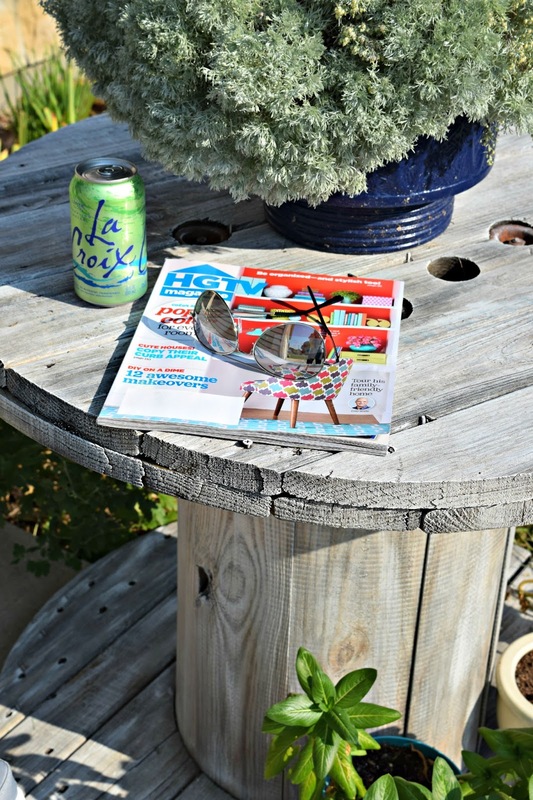 I love super simple projects that you can do in an hour! I guess I'll start looking out for a large spool when I am at the antique store. Thanks Nichole! We found this one at the Habitat For Humanity ReStore for about $10. 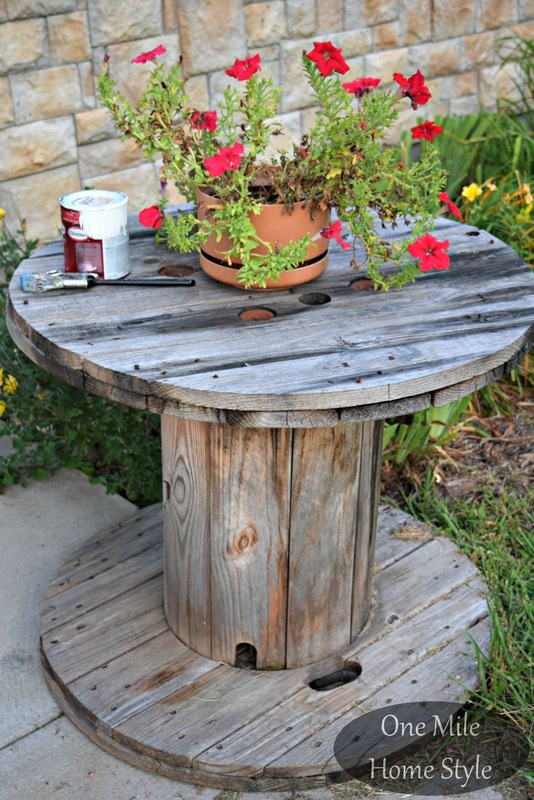 Your whitewash spool project looks easy and it turned out great! 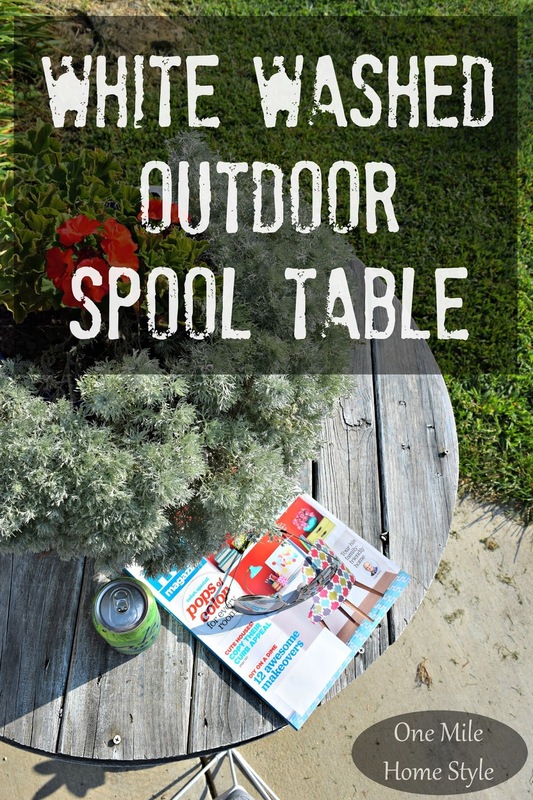 I get a lot of projects done while I am watching my kiddos play outside too =) Thanks for linking up with us at Welcome Home Wednesday. We hope to see you again next week! I don't know why but I always love spools... they're so industrial yet pretty at the same time! I love how yours looks on the front lawn, soo pretty! Thanks for stopping by the Welcome Home Wednesday Link Party! Can't wait to see what you link up next week!